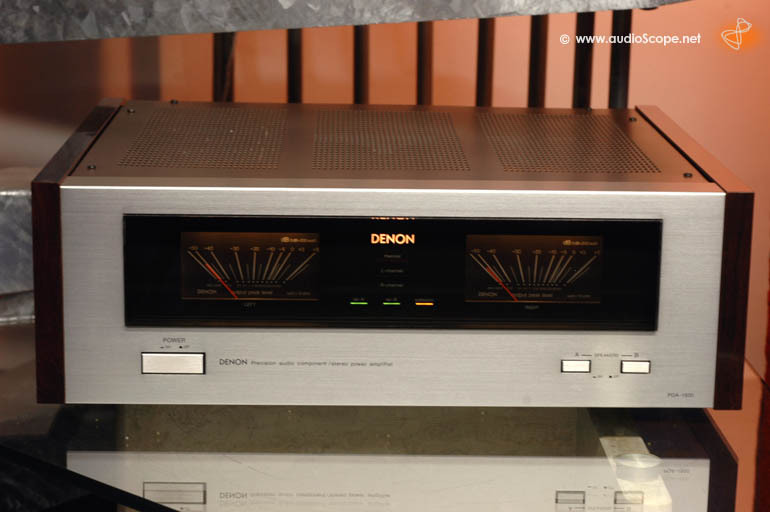 Denon POA-1500, champagne for sale. This is pure design and power. 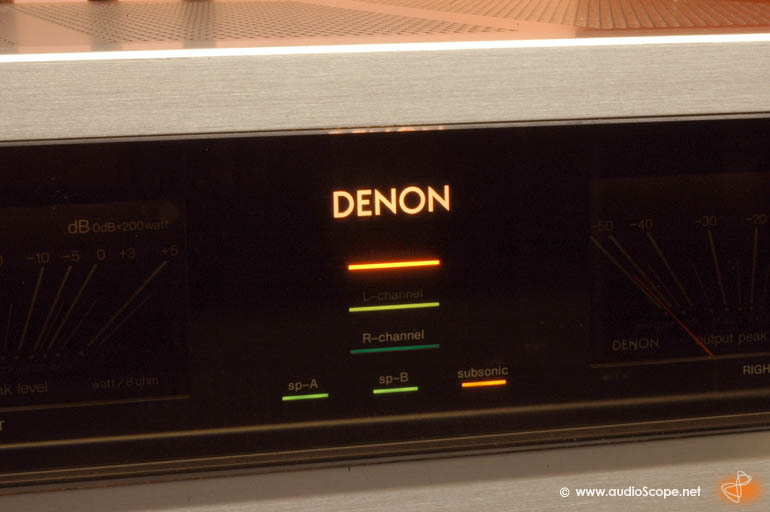 One of the nicest Denon Amplifiers ever made. 150 +150 Watts into 8 Ohms. Champagne colour and wooden side panels. 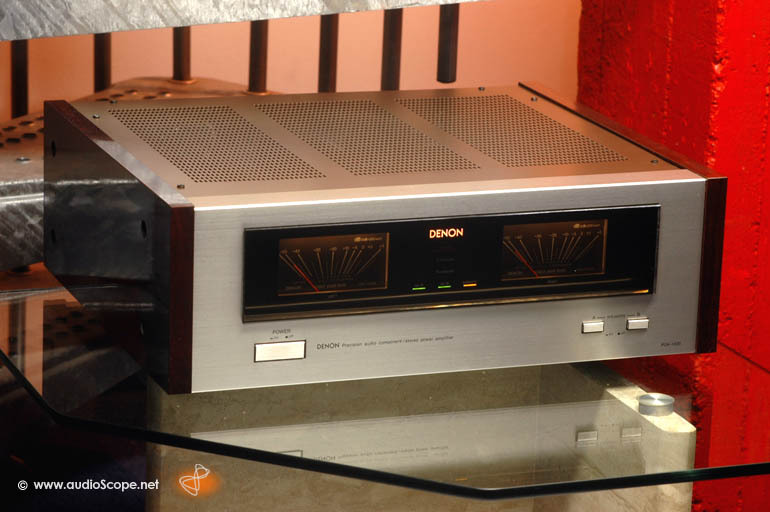 This design has been copied by several manufacturers, for example Sony, Accuphase and Technics. A few yers later, they all came out with a similar design. Well, this is the original piece. The optical condition is excellent. There is light wear on top, hardly visible. Technically perfect, just revised and cleaned. 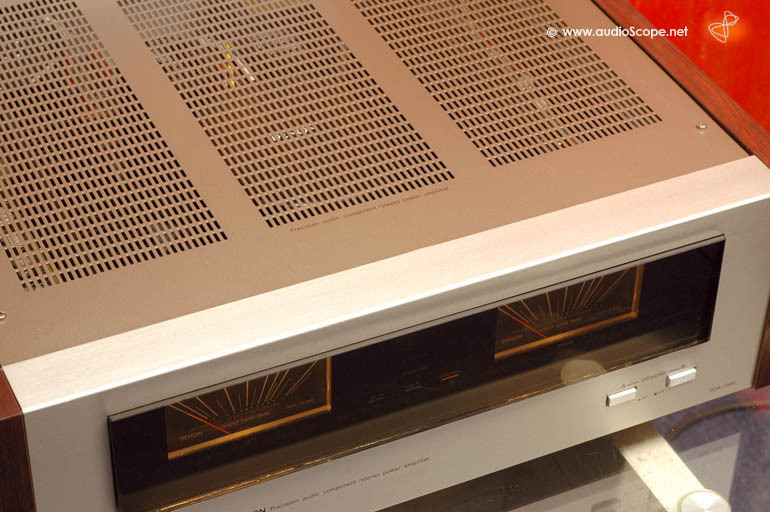 All in all an excellent piece of design history in still very good condition. Very rare aswell. 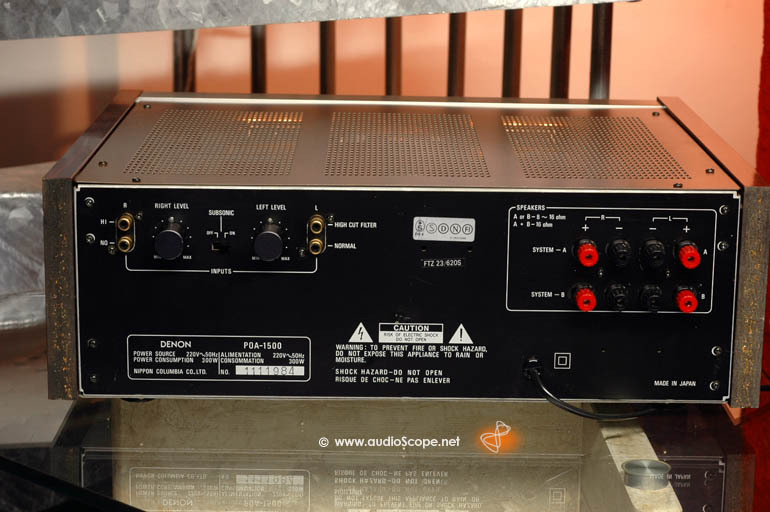 We have the matching pre amp aswell in stock.